We are a unique Perth Hills destination steeped in history, with spectacular artisan ciders, wines and fruit wines. Add sublime views over the apple orchards and a Slightly Twisted crew to the mix and you can’t help but unwind. When Giovanni Battista Della Franca (aka ‘Jack” pictured with no hat), planted the first apple trees on the property, he created a grappa that was (in)famous in the region and attracted many friends as a result. 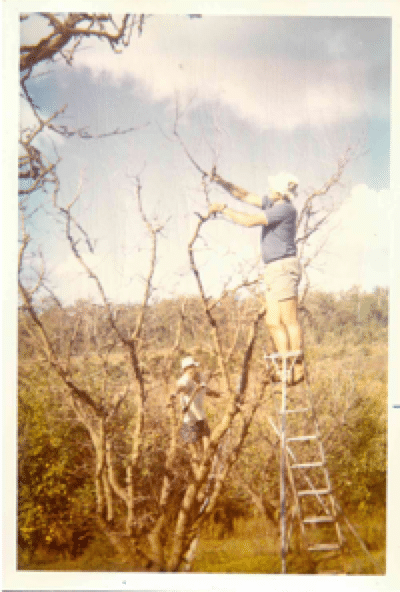 Two generations later, his grandson John, continues his liquor legacy and created the first CORE cider recipes after tonnes of experiments later (and tonnes of apples). Charlie made a good rough red from a small vineyard on the property (still there today) to satiate the thirst of his extended family. He bought CORE’s icon – the ’57 Chev, brand new in ….1957. 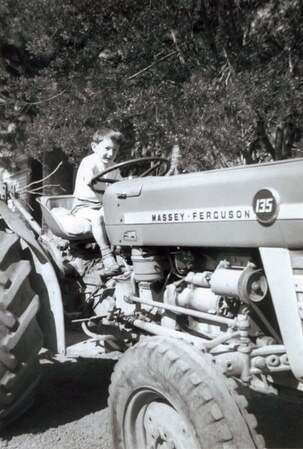 Charlie’s son, Farmer John, started early in the orchard playing with ‘outsized’ Tonka toys. His fetish with tractors has never gone away … we don’t know when, but at some point he also discovered Booze! John developed the original cider recipes over many years and after many experiments around midnight. John is where the Slightly Twisted comes into play as he has always done things in his own quirky way. 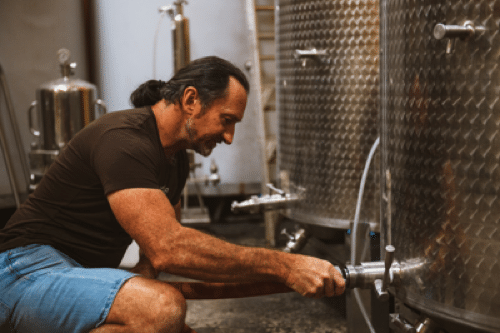 His ciders are not ordinary either; individualistic with great character, eminently drinkable and absolutely quaffable (meaning you’ll always come back for more).